The Walkman W260 series’ portable digital music players are unlike any other. It is wire-free and it does not have a piece of device for the headset to connect to. Basically, the earpiece itself is whole music-playing gadget. 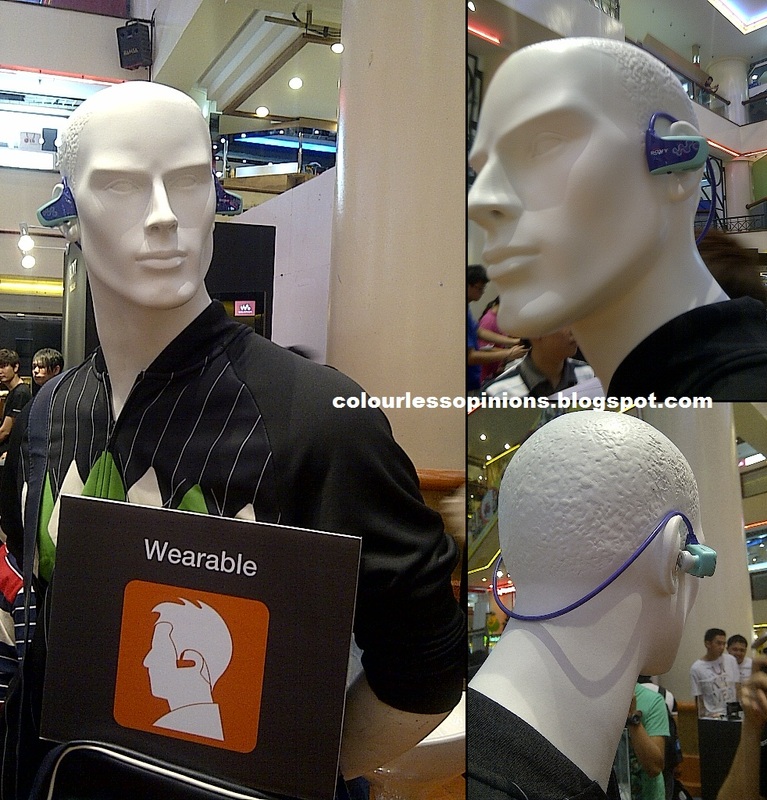 It has everything implemented to the earpiece, all in one, including the control buttons. It is light-weighted (32g), comfortably wearable and it doesn’t fall off from ears easily. The product is very convenient for the people who works out or go for cardiac exercises. The wearable W260 series – wrapped around the back of head and the earphones plugged into ears. also produces top quality sound as Walkman products usually do. 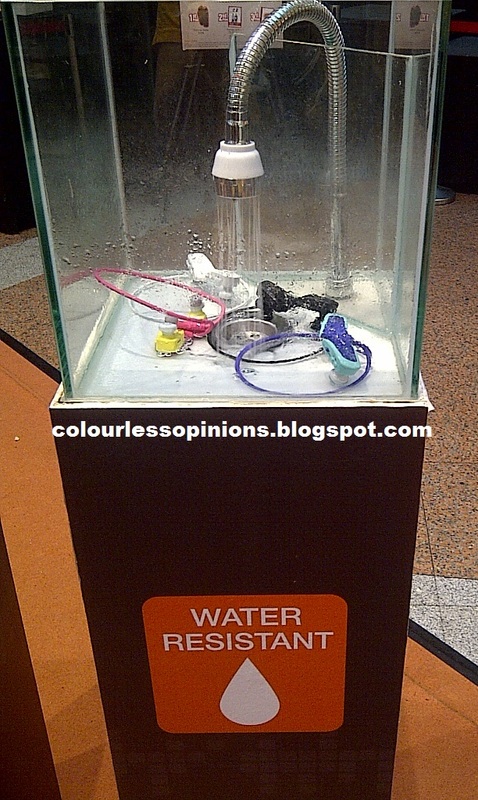 Other features include Drag-and-Drop function, ZAPPIN and water-resistance. Therefore it’s washable to a certain extend. Frankly, I feel that the new water-resistant feature is absolutely pointless. How often does your sweat spoil your music player? Do you go out by foot when it’s raining while listening to music? Never and never. Not unless your sweat a lot with the music gadget in your pocket. Just so you know, you can’t go swimming or diving while using the W Series MP3 player either as it is not water proof. hang out at Sungei Wang. 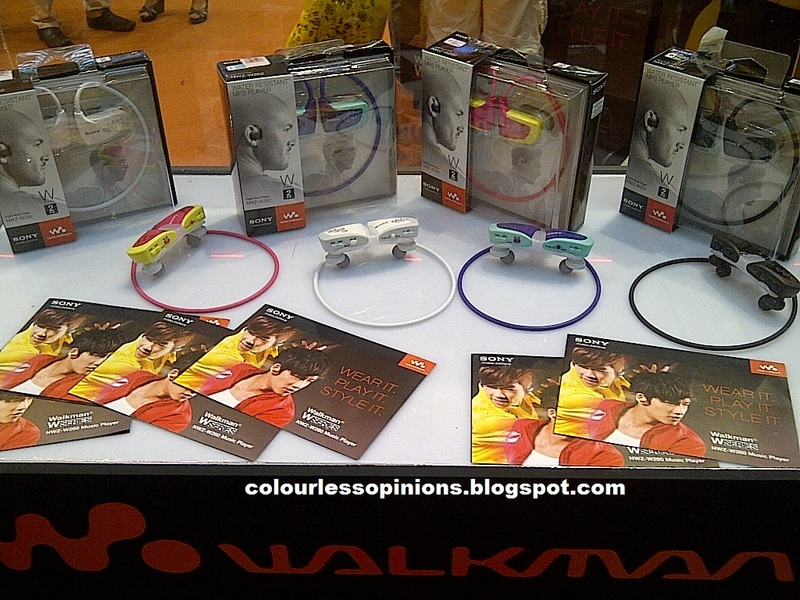 If you’re interested in owning one, Sony Walkman W262 MP3 Player is going at RM299. I’d rather spend that amount of money for a brand new digital camera and use my mobile phone for music instead. Totally not worth my dough. The roadshow was not without fun activities. There were silent disco challenges, a guessing game, lucky draws, Walkman + Adidas fashion show, and performances from Fitness First and Panic Screw. 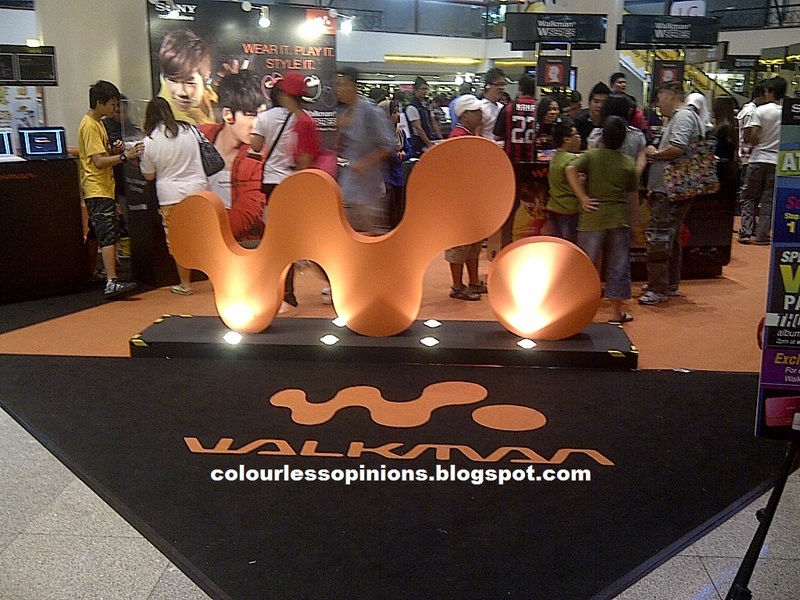 Besides all that, everyone had a chance to try out all the Sony Walkman products that were on display there. The guessing game allowed the customers to stand a chance to win exclusive passes to Thomas Jack‘s album launch. Great Scott! You don’t know who they are?! Neither do I! The local Chinese music duo were announced as the brand ambassadors of the new W260 series. 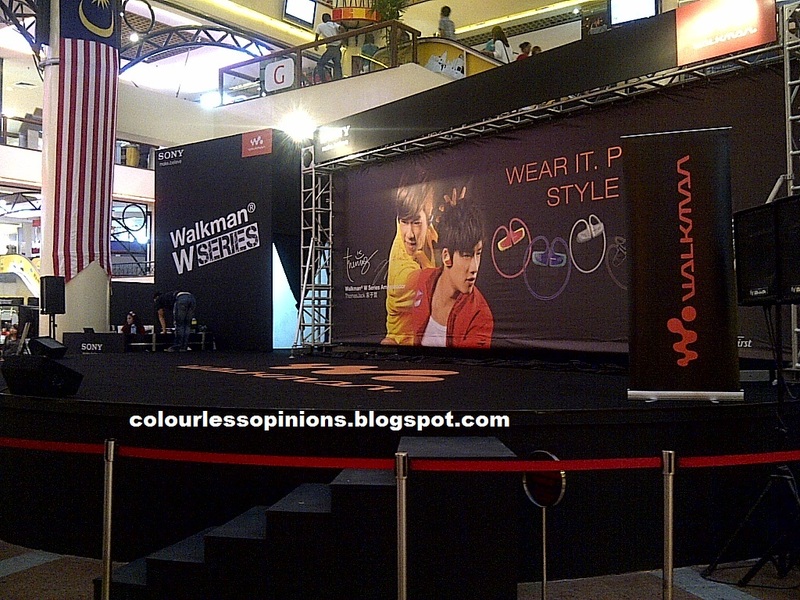 The stage at the concourse area in Sungei Wang Plaza, KL. I was involved in a little catwalk game on stage with four of the other bloggers and for the love of mankind, I hope the records of that moment will never surface on the internet. The consolation prize was an album CD each and guess what the winner won. A water bottle! Whereas the lucky draw winners, who didn’t have put any effort on stage, were given a W262 each. Just in case you’re wondering why there isn’t a single snapshot of chick promoters in mini skirts, there wasn’t any at all at the roadshow. With Nuffy “Fresh” Teoh Xin Xian and the bloggers. hahahaha…. that's why it's called the lucky draw, yeah the prize was better and i thought at least i can win a camera… LOL… oh i think the video Elwyn has posted it? no? sony not much budget to hire pormo girls i think.. haha..